All tours include use of our picnic area, animal feeding and play time in the Animal Farm, coloring sheets and teacher information. There is also a restroom facility for group use. The Discovery Barnyard is not included in regular or deluxe tours. It can be added to these tours for an upgrade charge of $5.00 per person. The spring season continues with our Farm School Hayride. This trip was developed to teach children how plants grow, how to care for them and how to appreciate farming. This farm lesson is conducted in our greenhouse using soil boxes and a variety of seeds the children can plant. Each child takes home his/her own garden to watch grow. We love to see future farmers at work! This trip also includes a Farm tour and explanation of what is going on at the farm in the spring. The wagons will also make a stop at the spinach, radish or lettuce field. Availability of these crops is dependent on the weather and the time of your reservation. Our spring season concludes with our strawberry picking tour. 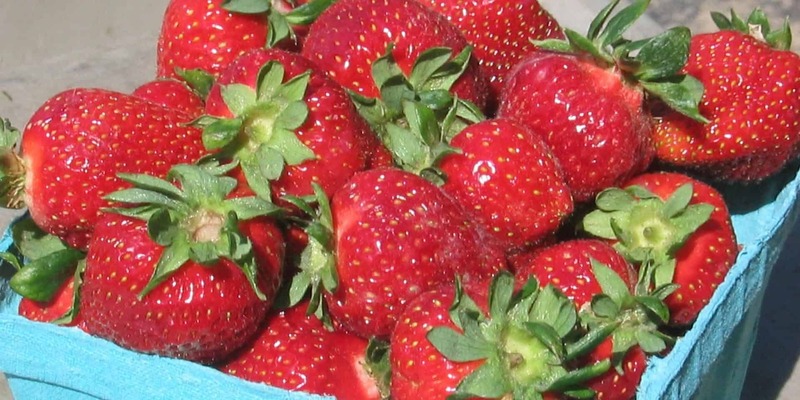 This trip includes a hayride to the strawberry fields where the children pick a pint of berries and adults pick a quart.